Handmade so no tree is the same. Timberline Blue Spruce (formerly known as Deep Woods Green) is a strong bluish green color. Its a tree color you would find hidden deep in a dense forest. These ready to plant premium trees come with real wood trunks for the ultimate in realism. 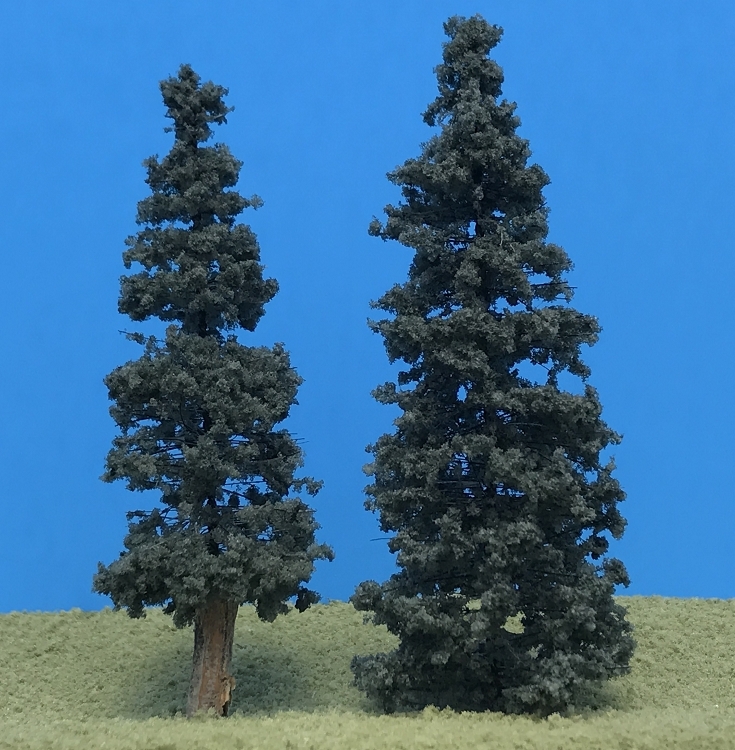 Available in multiple sizes and compatible with Model railroad scales Z, N, HO, S, O, and G. Timberline Scenery's Deep Woods Green Pine tree is a beautiful and realistic tree.